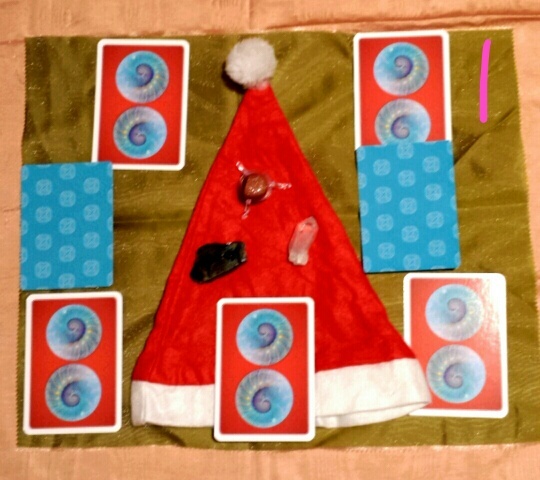 We’ve got an oracle card reading for 01 December! 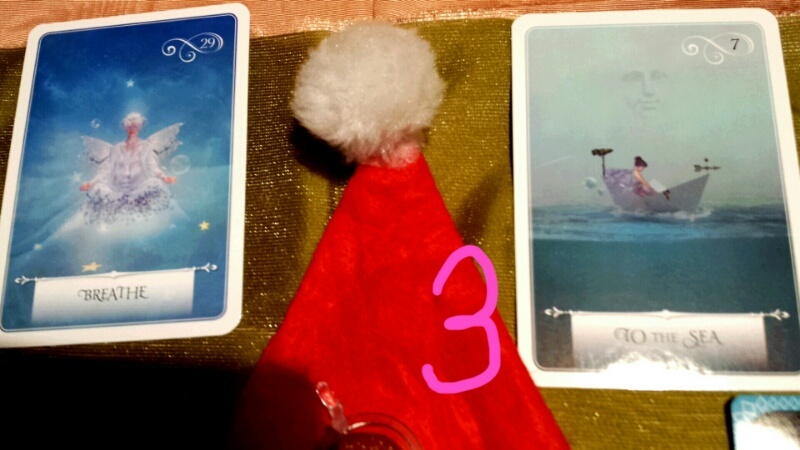 It’s quite likely that we’ll find this a busy month, so I meditated on being guided to select cards that would help us keep in balance over the month whilst keeping our energy high. 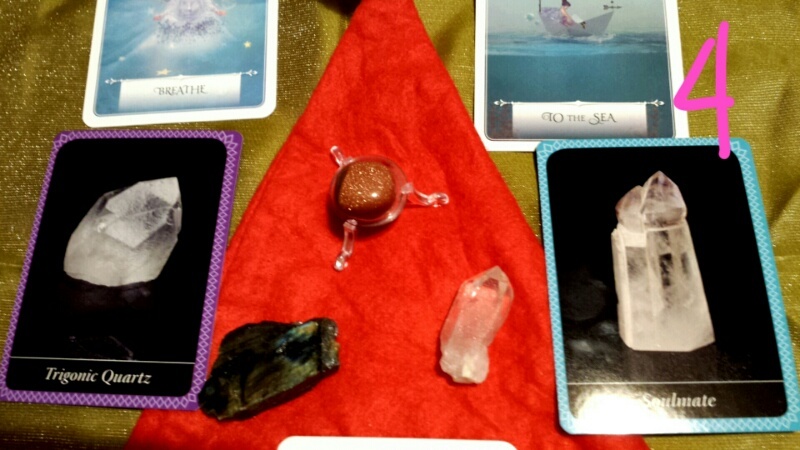 Below are pics of the cards that I was guided to select & a very brief explanation. To the Sea – be in the flow, let trust & faith guide us in any holiday decisions & situations! 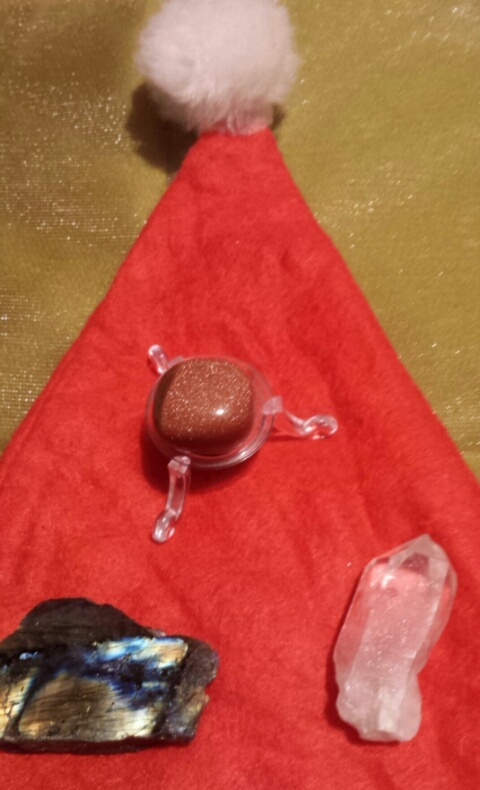 Trigonic Quartz-Remain honest and open to achieve success. Communicate! 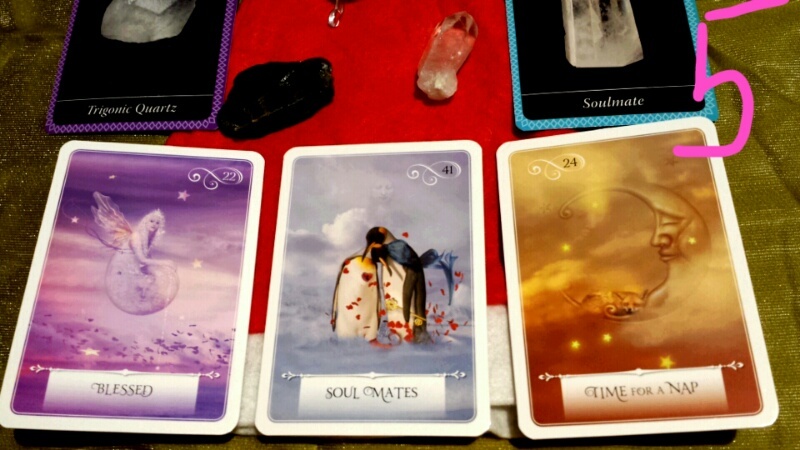 Soulmate– isn’t it great that this word came up with both decks? Yes it could be romantic, but I would extend it to good relations, friendship & a community spirit with other relationships in our lives as well. Time for a Nap– Do we need to explain this one!?  Let’s try not to get too stressed over the hols. Take breaks. Rejuvenate & renew our energy so we don’t get burned out over the holiday season. 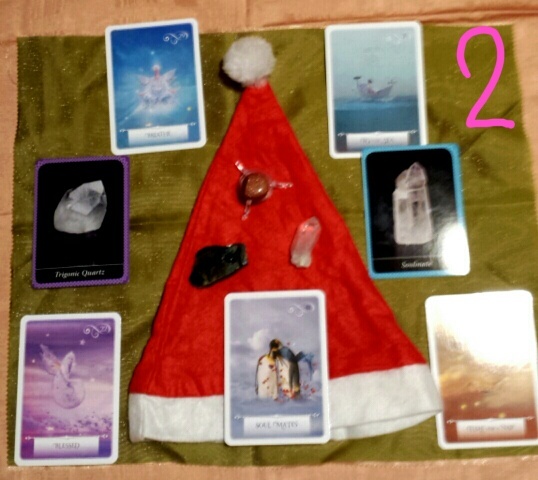 This entry was posted in Abundance, Fun, Seasonal, Inspirational, Motivational, Oracle/Colour/Angel card readings, Positive Affirmations, wisdom bits and tagged beating stress, blog a week, blogmas, christmas, coping over the holidays, happy holidays, happy thoughts, lblogger, lifestyle blogs, oracle card readings, stefsvoice4u, stress free Christmas. Bookmark the permalink.